Raidcall is specifically designed for group communication, especially for games requiring tight teamwork such as FPS and MMORPG games. It can provide clear voice quality with low latency, with no need to rent servers or set up a server yourself. Raidcall makes group communication easier. In this tutorial, we will guide you through the way to set up Voice Changer Software Diamond 8.0 (VCSD 8.0) to automatically change voice for voice communication via Raidcall. 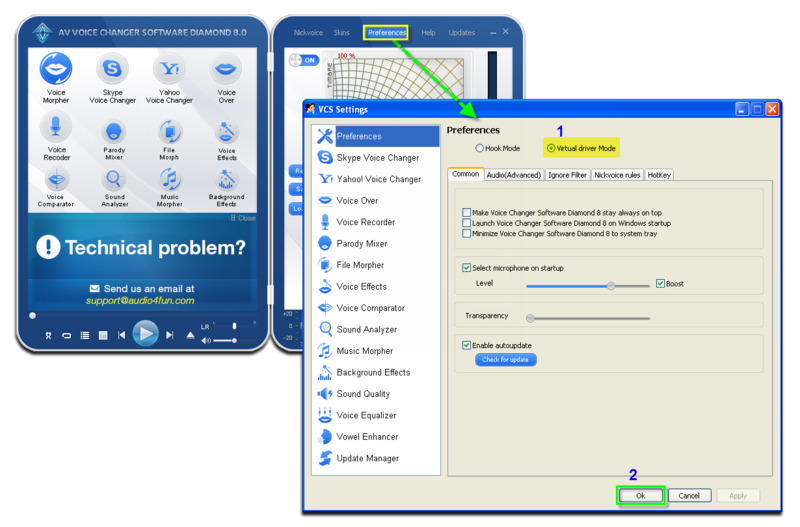 ***Note: With other voice chat applications, apply the same process to set Voice Changer Software Diamond as your main voice changing program. Run Raidcall >> Login to your account. Choose Option button at top-right corner >> System settings to open System settings dialog box. Switch to Audio settings (1) tab. Choose Microphone (Avnex Virtual Audio Device) as Input Device (2). Click Save to apply settings and close System settings dialog box. Now, you can start voice chatting on Raidcall. The morphing settings for your voice will be applied automatically. Note: While VCS Virtual Audio Drivers is being set as the audio driver for Raidcall, do not turn off Voice Changer Software Diamond 8.0 while using voice chat via Raidcall. 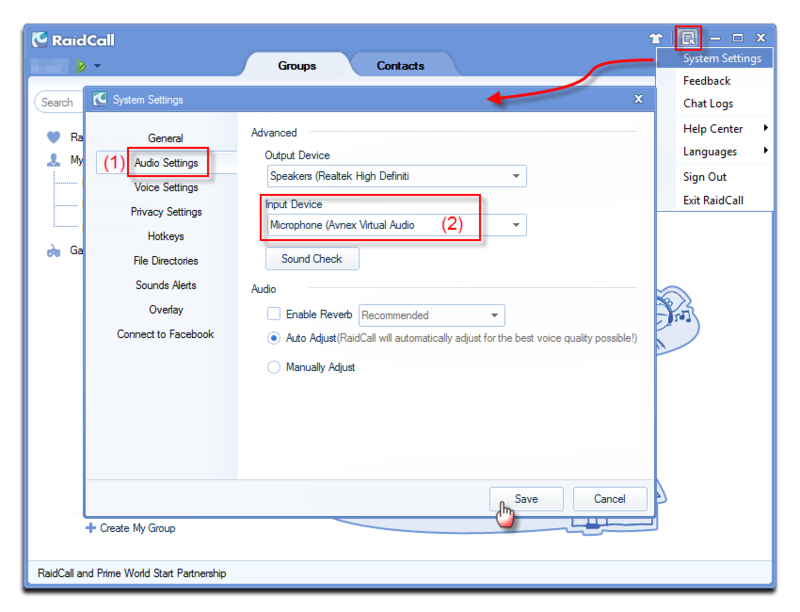 If you don’t want to use Voice Changer Software Diamond 8.0, change the audio settings of Raidcall back to normal audio source.